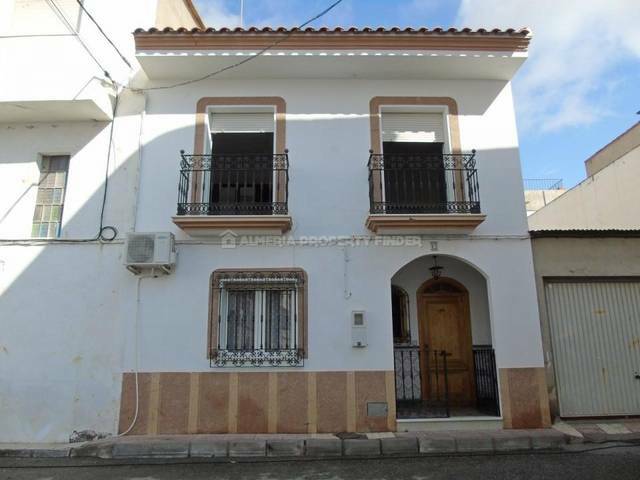 This spacious duplex house is located in the center of albox and has a living space of 206m2. The spacious modern duplex, this house is centrally located and has four floors with all amenities. In the duplex house is a beautiful modern fitted kitchen with the necessary appliances, a beautiful living room, 3 bedrooms, 3 bathrooms and terrace. The town of Albox offers all amenities such as shops, supermarkets, banks, schools, cafes, bars, restaurants, sports facilities, 24-hour medical center and a weekly market on Tuesdays. Albox is about a 1-hour drive from Almeria Airport.